All widget parameters are supported. The exception is that the shortcode cannot support parameters which include [square brackets], although the block editor can. 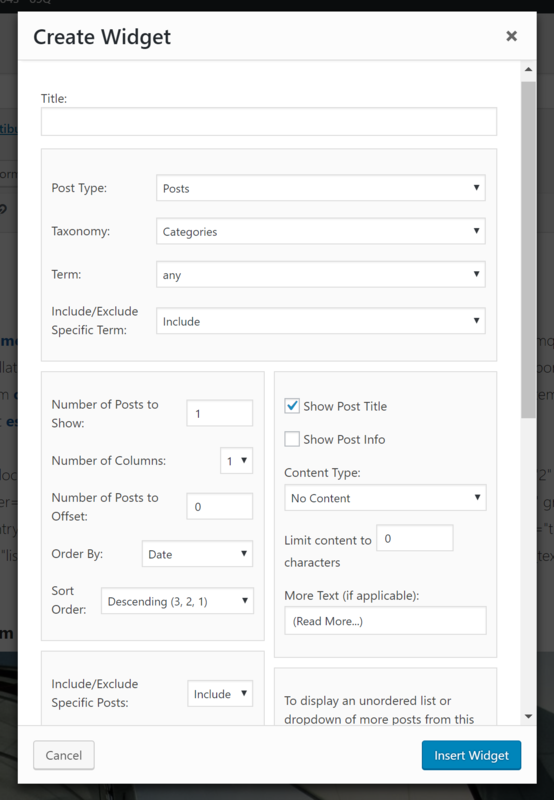 The plugin includes a shortcode media button in the post/page editor to allow for easier shortcode creation. This plugin is currently offered as a free add-on for Six/Ten Press Featured Content, which is required for this plugin to work at all. 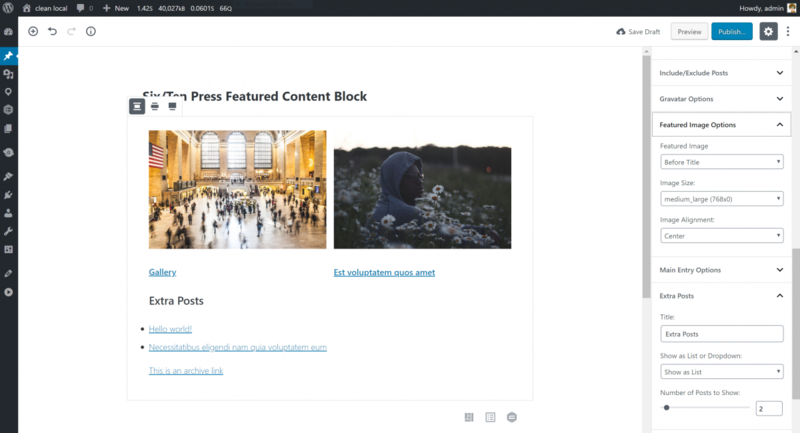 In order to use the custom block, you will also need to be using WordPress 5.0 or have Gutenberg active on your site. This plugin should be considered a beta product at this time. Your feedback is appreciated.